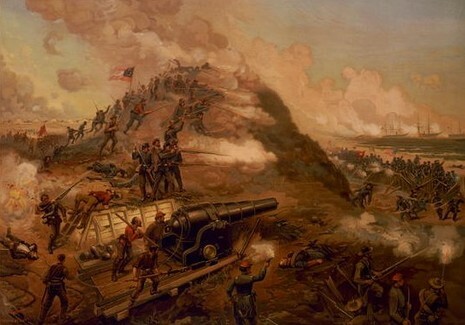 The Second Battle of Fort Fisher was a joint assault by Union Army and naval forces against Fort Fisher, outside Wilmington, North Carolina, near the end of the American Civil War. Wilmington was the last major port open to the Confederacy. Ships leaving Wilmington via the Cape Fear River and setting sail for the Bahamas, Bermuda or Nova Scotia to trade cotton and tobacco for needed supplies from the British were protected by the fort. Based on the Malakoff Tower in Sevastopol, Russia, Fort Fisher was constructed mostly of earth and sand. This made absorbing the pounding of heavy fire from Union ships more effective than older fortifications constructed of mortar and bricks. Twenty-two guns faced the ocean while twenty-five faced the land. The sea face guns were mounted on twelve foot high batteries with larger, forty-five and sixty foot batteries at the southern end of the fort. Underground passageways and bombproof rooms existed below the giant earthen mounds of which the fort consisted. The fortifications were able to keep Union ships from attacking the port of Wilmington and the Cape Fear River. 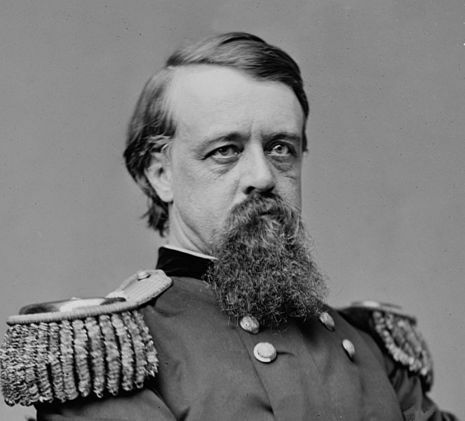 On December 24, 1864, Union forces under Benjamin F. Butler launched a two-day attack, but were beaten back. The Union Army returned in January, this time under General Alfred Terry. Terry was chosen by General Ulysses S. Grant to lead a Provisional Corps of 9,000 troops from the Army of the James. Rear Admiral David D. Porter returned with 60 vessels of the North Atlantic Blockading Squadron to the North Carolina coast after the failed December attempt. General W.H.C. 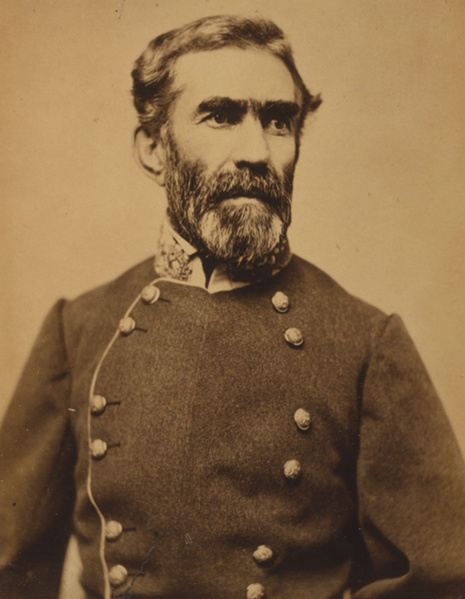 Whiting commanded the District of Cape Fear and pleaded with the department commander, General Braxton Bragg to send reinforcements. Bragg was unwilling to reduce his forces, which he felt were necessary to defend Wilmington. He finally sent reinforcements to William Lamb's garrison bringing the total at Fort Fisher to 1,900. A division of 6,400 troops under Robert Hoke stationed on the peninsula north of the fort. Whiting personally arrived at the fort and told the commander "Lamb my boy, I have come to share your fate. You and your garrison are to be sacrificed." Alfred Terry had previously commanded troops during the Siege of Charleston Harbor and understood the importance of coordinating with the Union Navy. 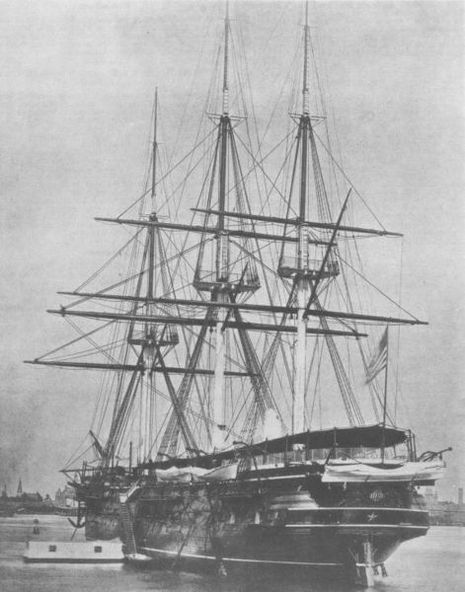 He and Admiral Porter made well laid out plans for the joint attack. 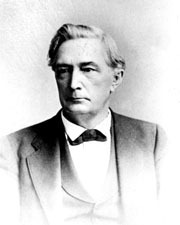 Terry would send one division of United States Colored Troops under Charles J. Paine to hold off Hoke's division on the peninsula. Terry's other division under Adelbert Ames, supported by an independent brigade under Col. Joseph Carter Abbott, would move down the peninsula and attack the fort from the land face, striking the landward wall on the river side of the peninsula. Porter organized a landing force of 2,000 sailors and marines to land and attack the fort's sea face, on the seaward end of the same wall. 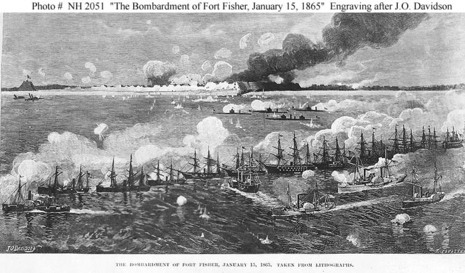 On January 15, Porter's gunboats opened fire on the sea face of the fort and by noon they succeeded in silencing all but two guns. 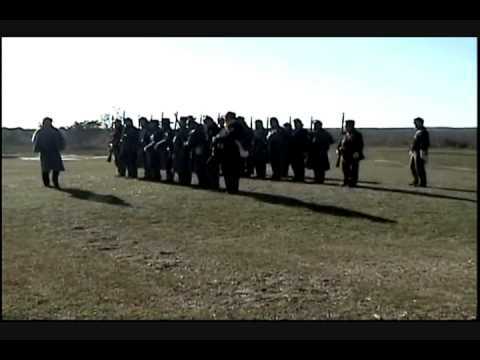 During this bombardment Hoke sent about 1,000 troops from his line to Fort Fisher, however only about 400 were able to land and make it into the defense while the others were forced to turn back. About this time the sailors and marines, led by Lt. Commander Kidder Breese, landed and moved against the point where the fort's land and sea faces met, a feature known as "the Pulpit." The attack was a disaster. The marines were supposed to provide covering fire for the charging sailors, armed with revolvers and cutlasses; instead, the assault went forward in an unorganized mass. General Whiting personally led the defense and routed the assault. The attack, however, drew Confederate attention away from the river gate, where General Ames prepared to launch his attack. At 2:00 in the afternoon he sent forward his first brigade, under the command of Brevet Brig. Gen. Newton Martin Curtis, as Ames waited with the brigades of Colonels Galusha Pennypacker and Louis Bell. An advance guard from Curtis's brigade used axes to cut through the palisades and abatis. Curtis's brigade took heavy casualties as it overran the outer works and stormed the first traverse. At this point Ames ordered Pennypacker's brigade forward, which he accompanied into the fort. As Ames marched forward, Confederate snipers zeroed in on his party, and cut down a number of his aides around him. Pennypacker's men fought their way through the river side gate, and General Ames ordered a portion of his men to fortify a position within the interior of the fort. 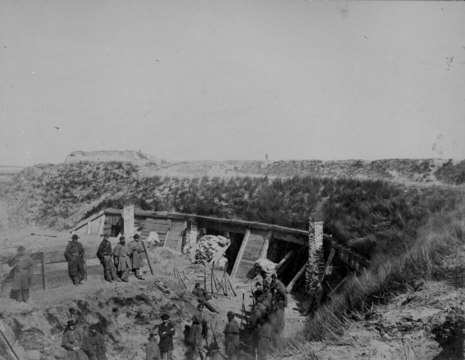 Meanwhile the Confederates turned the cannons in Battery Buchanan at the southern tip of the peninsula and fired on the northern wall as it fell into Union hands. 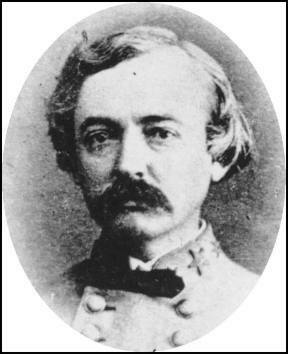 Ames observed that Curtis's lead units had become stalled at the fourth traverse, and he ordered forward Bell's brigade, but Bell was killed by sharpshooters before ever reaching the fort. Seeing the Union attackers crowd into the breach and interior, General Whiting took the opportunity to personally lead a counterattack. Charging into the Union soldiers, Whiting received multiple demands to surrender, and when he refused he was shot down, mortally wounded. 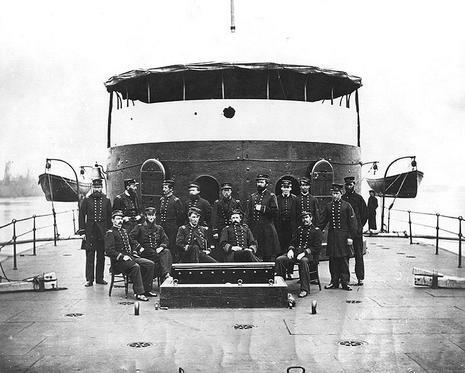 Porter's gunboats helped maintain the Federal momentum. 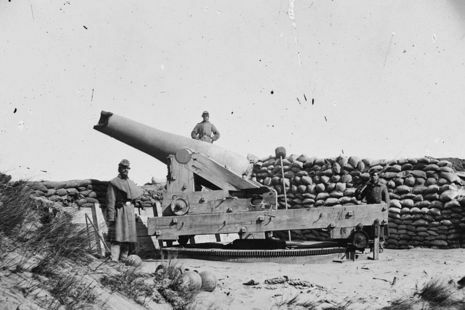 His gunners' aim proved to be deadly accurate and began clearing out the defenders as the Union troops approached the sea wall. Curtis's troops gained the heavily contested 4th traverse. Colonel Lamb began gathering up every last soldier in the fort, including sick and wounded from the hospital, for a last ditch counterattack. Just as he was about to order a charge, he fell severely wounded and was brought next to General Whiting in the fort's hospital. General Ames made a suggestion for the Union troops to entrench in their current positions. Upon hearing this notion, a frenzied Curtis grabbed a spade and threw it over Confederate trenches and shouted, "Dig Johnnies, for I'm coming for you." About an hour into the battle, Curtis fell wounded while going back to confer with Ames. Colonel Pennypacker also fell wounded before the battle ended. The grueling battle lasted for hours, long after dark, as shells plunged in from the sea and General Ames struggled with a division that became increasingly disorganized as his regimental leaders and all of his brigade commanders fell dead or wounded. General Terry sent forward Abbott's brigade to reinforce the attack, then joined Ames in the interior of the fortress. Meanwhile in Fort Fisher's hospital Colonel Lamb turned over command to Major James Reilly and General Whiting sent one last plea to General Bragg to send reinforcements. 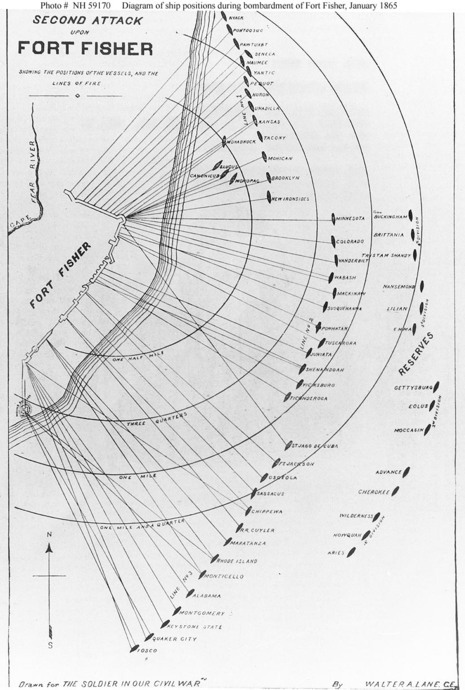 Still believing the situation in Fort Fisher was under control and tired of Whiting's demands, Bragg instead dispatched General Alfred H. Colquitt to relieve Whiting and assume command at Fort Fisher. At 9:30p.m. 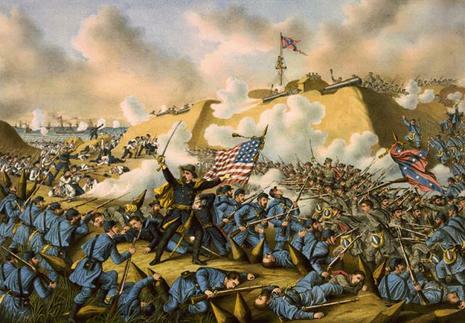 Colquitt landed at the southern base of the fort just as Lamb, Whiting and the Confederate wounded were being evacuated to Battery Buchanan. 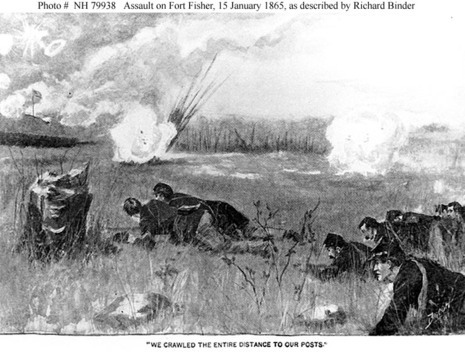 On January 16th Union celebrations were dampened when the fort's magazine exploded killing 104 Union soldiers that were sleeping on the roof of the magazine chamber. U.S. Navy Ensign Alfred Stow Leighton died in the explosion while in charge of a squad trying to recover bodies from the fort parapet. William Lamb survived the battle but spent the next 7 years on crutches. General Whiting was taken prisoner and died while in Federal captivity. Colonel Galusha Pennypacker's wounds were thought to have been fatal and General Terry assured the young man he would receive a brevet promotion to brigadier general. 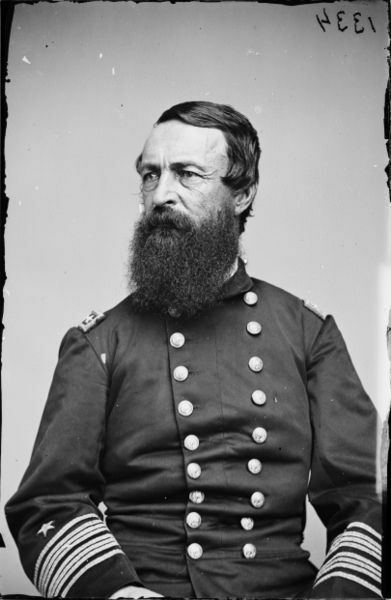 Pennypacker did receive a brevet promotion as Terry had promised but on February 18, 1865 he received a full promotion to brigadier general of volunteers at age 20. He remains the youngest person to hold the rank of general in the U.S. Army. Newton Martin Curtis also received a full promotion to brigadier general and both he and Pennypacker received the Medal of Honor for their part in the battle. Secretary of War Edwin M. Stanton made an unexpected visit to Fort Fisher where General Terry presented him with garrison's flag.